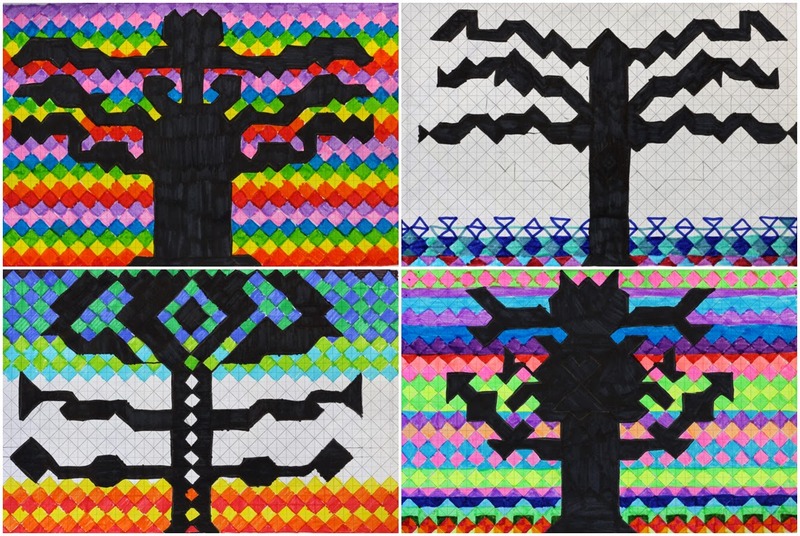 Year 4 were working on these stylised trees for a short time at the end of each maths class. Unfortunately only a few were completed in the time I was with them — I hope to see more of them fully realised when I get a chance to visit their class again. 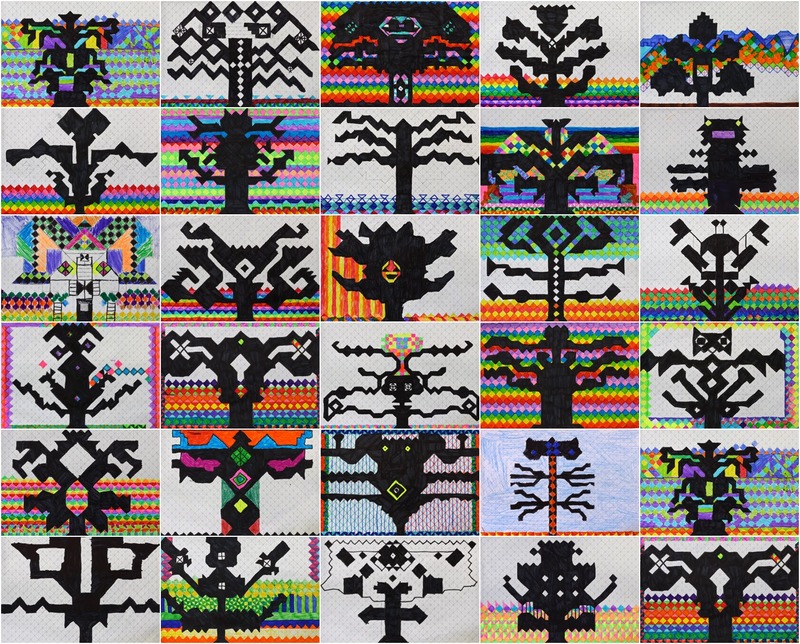 Using grid paper printed from this very handy site, I asked the students to make a stylised but symmetrical tree. Working from the bottom and centre, they began by drawing in pencil, then traced this with black markers before finishing with brightly coloured backgrounds of their choosing. Most students only seem to enjoy this type of detailed art for a short time, so just doing a little bit each day seemed to work well. As you can see, some of the trees are very stylised — I'm not sure how many were secretly drawing something else... but at least they were busy! Looks like a cool knitting pattern! These sweater designs are AWESOME! I love 'em Joe! This work reminds me of some embroidery pattern! Different but very nice!